Listen to New Beauty and the Beast Songs! 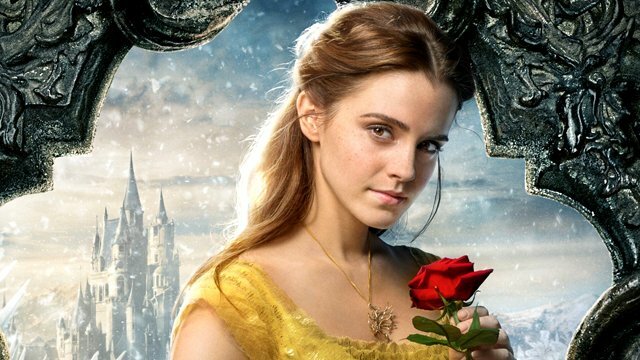 We’ve got slightly more than a month to go before Disney’s much-anticipated, live-action Beauty and the Beast hits the big screen, but promotional material is already hitting in full force. Today, we’ve got samples of some of the Beauty and the Beast songs! In the top player below, you can stream a segment from Josh Groban‘s all-new original song, “Evermore.” Then, just beneath that, watch a clip from the film that debuted today on Good Morning America. It features a bit of Josh Gad and Luke Evans performing “Gaston.” Finally, we’ve got a newly-released TV spot that you can see for yourself in the bottom player. Described as “a soaring ballad,” “Evermore” is performed in the film by the Beast (Dan Stevens) after he releases Belle (Emma Watson) to be with her father. The song was written by eight-time Academy Award-winning composer Alan Menken (The Little Mermaid, Aladdin) and veteran lyricist and three-time Oscar winner Tim Rice (The Lion King, Evita). Menken also provides the film score, as well as new recordings of the classic Beauty and the Beast songs from the animated film written by himself and Ashman. The original motion picture soundtrack will be released by Walt Disney Records on March 10. Beauty and the Beast stars Emma Watson and Dan Stevens as the title couple as well as Oscar winner Kevin Kline as Maurice, Belle’s eccentric, but lovable father, Ewan McGregor as Lumière, Gugu Mbatha-Raw as Plumette, Ian McKellen as Cogsworth, Stanley Tucci as Cadenza, Audra McDonald as Garderobe, and Emma Thompson as Mrs. Potts. Beauty and the Beast will be released in theaters on March 17. Which of these Beauty and the Beast songs are you most excited to hear in full? Let us know in the comments below!